High quality, ultra-sharp stainless steel blades have a smooth, nonstick metallic coating. 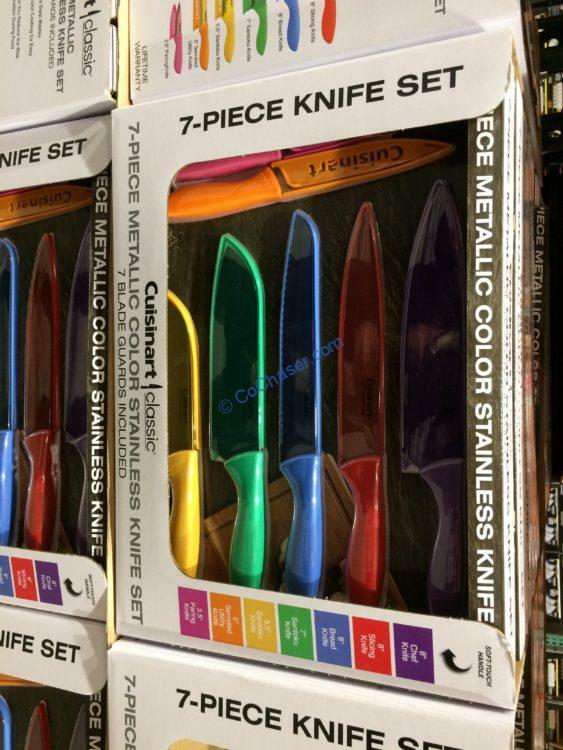 Cuisinart’s Classic Metallic Color Stainless 7-piece Knife Set is right on trend. These knives are color coded to help you reduce the risk of cross-contamination during food prep. Strong and wear-resistant, this unique coating will not chip or deteriorate and makes slicing and carving smooth and easy. Knives feature comfortable soft-touch handles and come with matching blade guards and a lifetime warranty through Cuisinart.